As our main interest is related to research, development and deployment of e-solutions, we identify broadband infrastructure as core infrastructure enabling us to succeed with our core activities. Going beyond PPP, PPI and PcP, we offer to local, regional, or national public authorities across Europe support in Design phase of their broadband network projects. 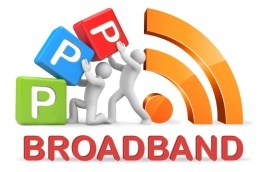 Public authorities are not usually in charge of deployment of broadband networks, but they play crucial role in excluded areas – in areas, where is lack of commercial interest to deploy high speed broadband network. We are additionally interested in participation in projects which focus on development of regional capacities in tackled field.